these are available for use for commercial and non-commercial games. file is not organized on a grid, but is in a neat and orderly fashion to make rearranging easy. 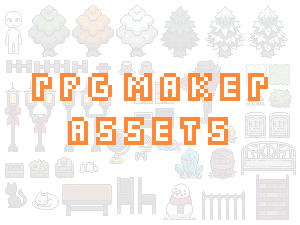 when using these files, keep in mind that they are larger than normal rpg maker assets and some tinkering will be required.